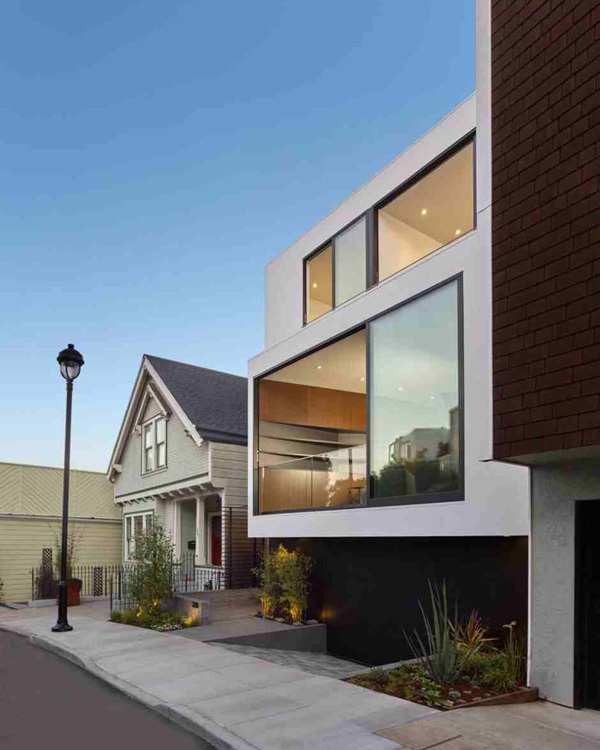 How are we going to define the best contemporary house that we may consider our dream house? What are the best features that you long for to make it possible in your dream house? Well it is true that we have list of preferences when it comes to describing the contemporary house that we ideally called as our dream house. We have a shortlist of different features that we consider the best qualities that we search for the best home. 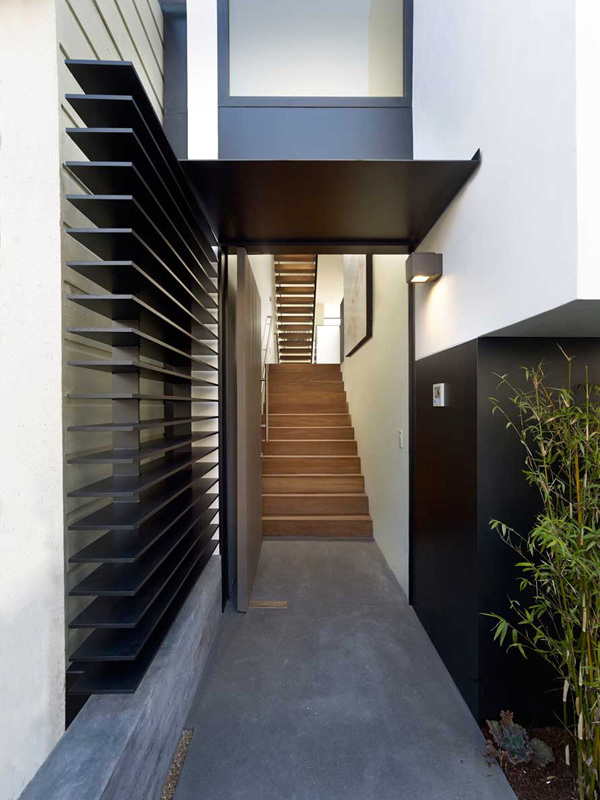 Today we will be sharing to you a contemporary house named Laidley Street Residence. 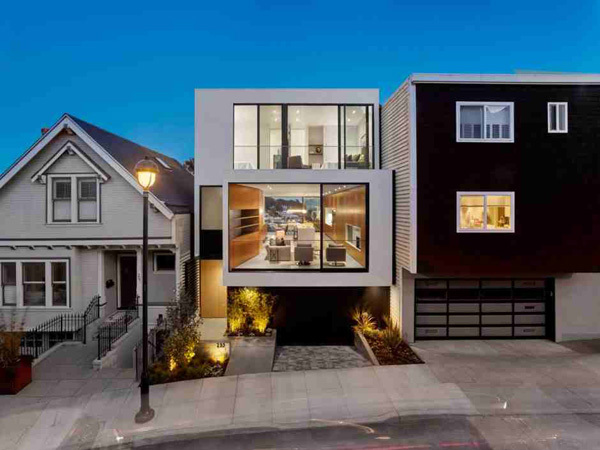 This residence is specifically located in the Glen Park, a neighborhood of San Francisco, California. This is a ground-up residence that employs the natural light throughout the day, captures the amazing views of a wind-swept park, and makes a strong visual to the split-level road at the front of the property. Let’s take the full advantage of the different areas of the house through the images below. The elegant furniture and decors in the interiors are well displayed through the glass wall in the house. 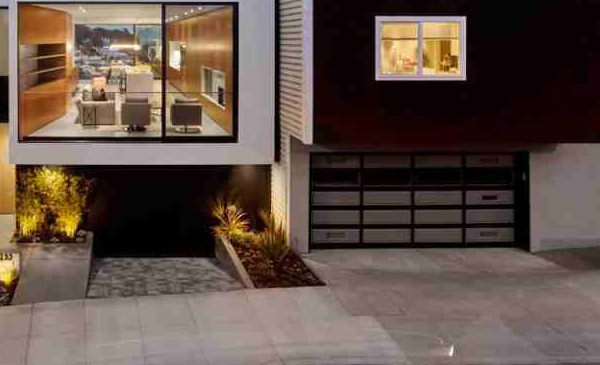 Lights in the exterior also underline the astounding look of the house design. Modest lines and figures are emphasized in the structure of the house building here. Exquisite lines and dimensions are clearly observed in the entrance area as you can see the staircase here. 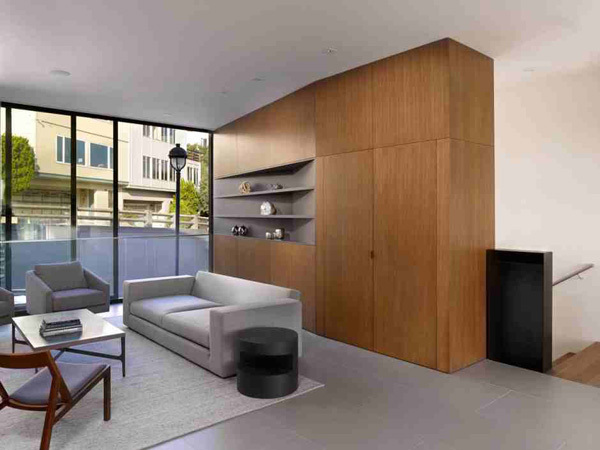 Here’s the geometric shape of the cabinets and sofa that jives with the house structure and concept. 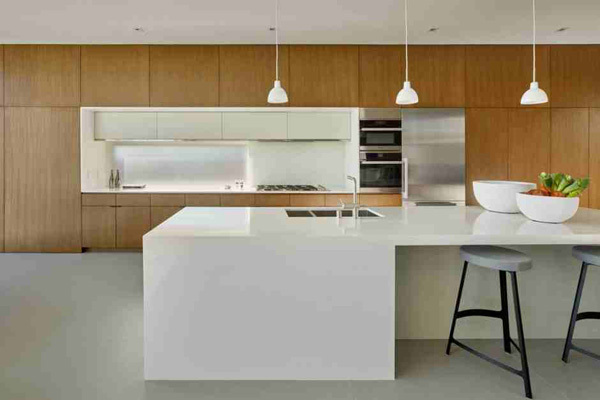 A wooden texture in the cabinets is stressed here that contrasts with the flawless texture of the concrete wall. White and trendy furniture is utilized effectively in the interior that captivates the client’s heart as well. 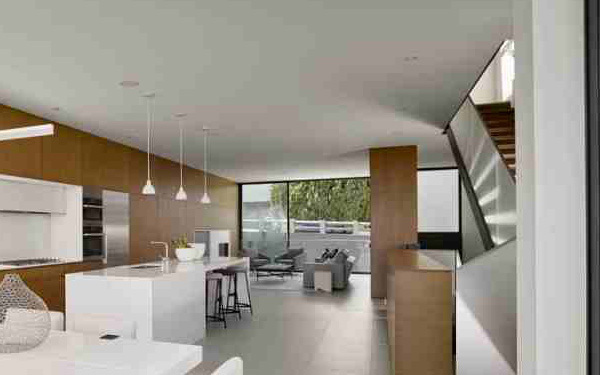 Grey, brown and white palette is successfully utilized in the living spaces that speak of comfort. Clean and neat kitchen is well presented in this area that is also graced with these unique lamps. Square and cube shape chairs are harmonized with the table in the dining space. Glassed framed terrace also adds elegance and luxury in the interior. Wall art are also secured in the second floor of the house to enhance its look. 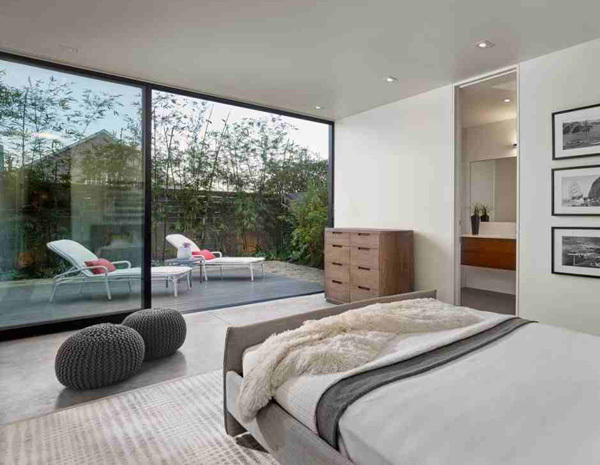 Spacious bedroom is also highlighted with this modern and exceptional furniture as well as the sliding glassed door that access the garden outside. 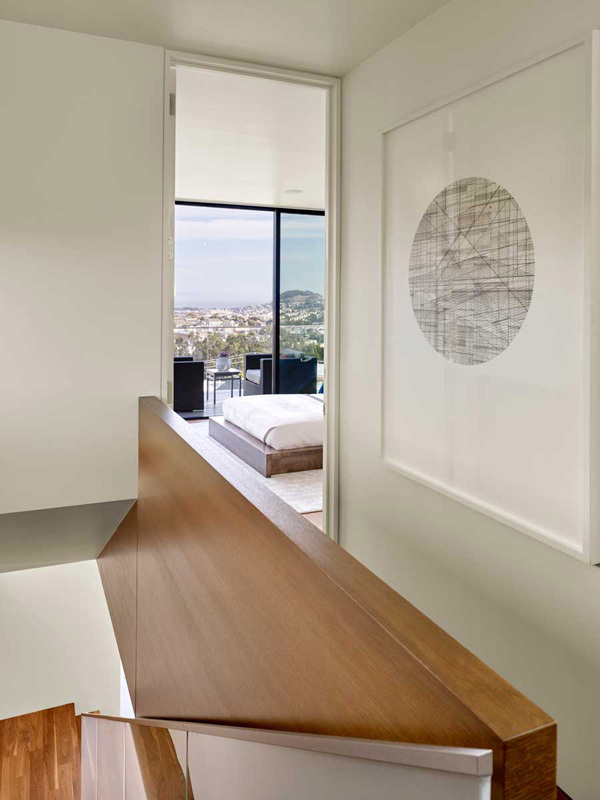 See how the designer realized to put these two chairs outside the bedroom that will also allow the client to feel the natural ventilation. 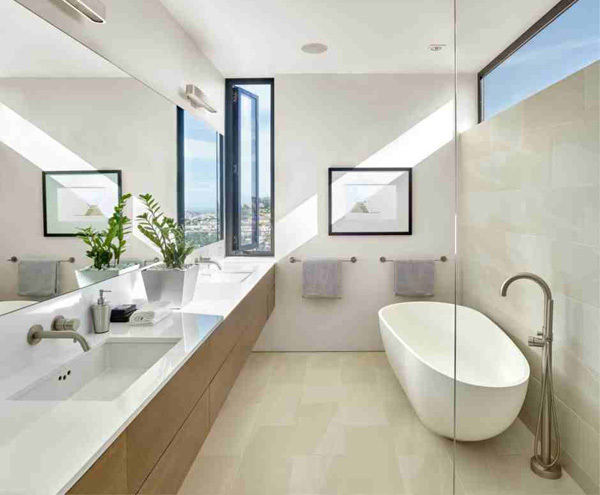 Natural light is also available in this hygienic and neat bathroom because of the glassed wall. 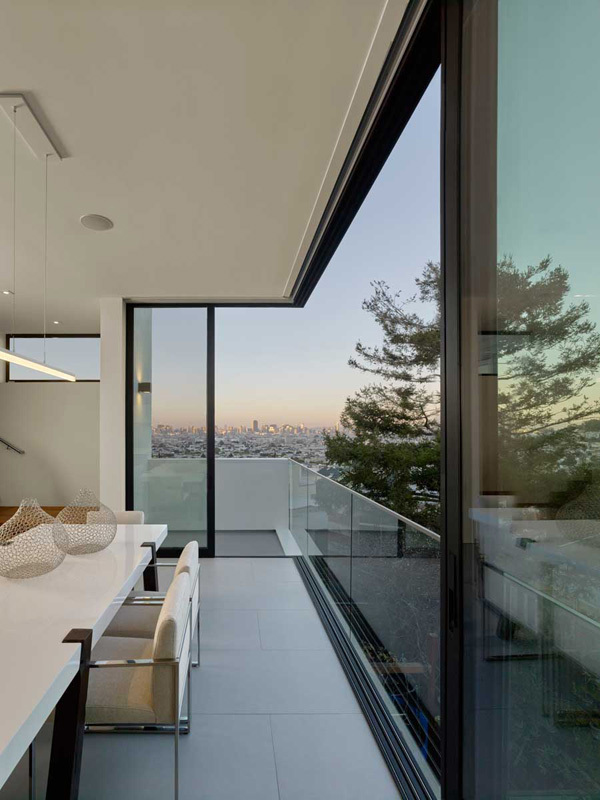 With the incredible images of the house above, we can definitely say that the Michael Hennessey Architecture has effectively utilized the amazing views in the surroundings to come up with a contemporary house design. What I really loved the most among the features of the house is its interior design where the exterior is accessible. 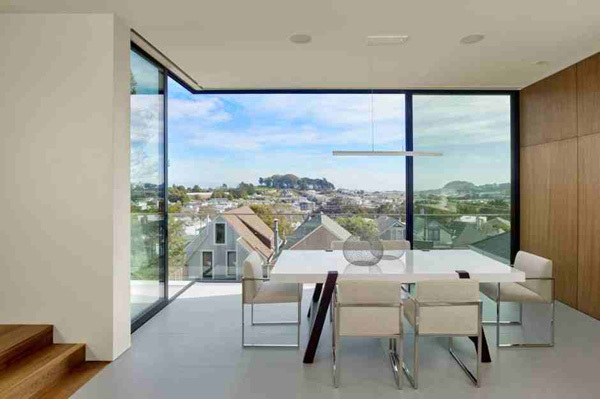 The homeowner may experience the natural light and fresh air for its open and transparent concept and layout. We hope that you may find this house helpful in making your future house a unique and elegant one.